Busy January. My son had surgery, 80 miles away from home, so I stayed at the hospital, for 2 days, and we've driven back twice for the doctor to check his progress, soooo - I missed a couple of family birthdays. Last Sunday the whole family came over for Sunday dinner and belated birthday gifting. 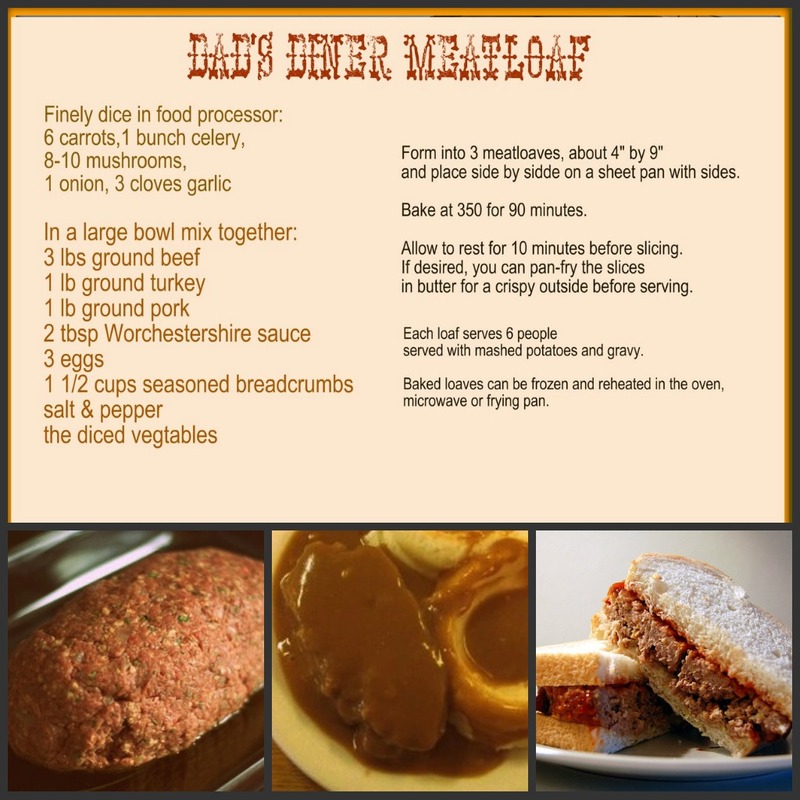 My husband made his famous meatloaf to serve the crowd, and we are often asked how he makes it, so here is the recipe. Beware - it makes a huge amount of meatloaf, if your family is smaller try reducing the amounts or freezing the extra for another meal. The leftovers make great sandwiches too.